The genius of the Klipsch R-26FA is the built in Dolby Atmos module. 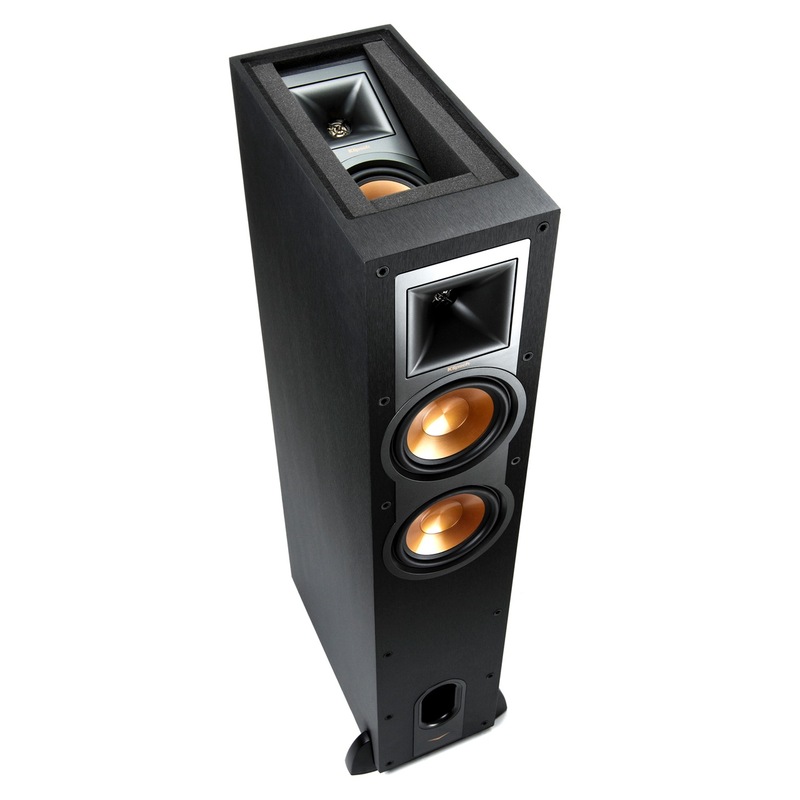 The Klipsch R-F26A speaker is a fantastic feat of audio engineering. 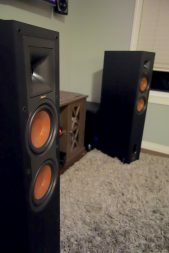 Looking at the speaker it is not immediately clear that there is anything unique at all about this Klipsch floor standing speaker vs any other. A closer look under the hood, or grill in this case, is what reveals the hidden gem: a completely separate speaker built into the top of the unit to allow the magic of Dolby Atmos to come alive. I had a chance to test drive these speakers in my home for a couple of weeks. Here’s what I learned. 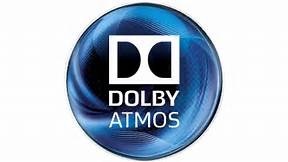 For those new to the concept of Dolby Atmos, it is the latest and greatest in surround sound. 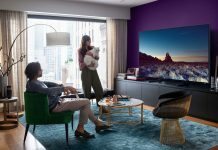 Rather than simply having sound come from around you, as you would experience with 5.1 or 7.1 systems, Atmos adds a layer of sound coming from above. 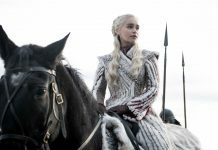 It elevates the listening experience immeasurably, created a truly immersive soundscape that injects you right into the movie. My first experience with Atmos was as impactful and memorable as was the first time I saw HD video; it was just so much better than the status quo. It’s worth noting that most Best Buy retail locations have Atmos listening rooms built in to allow you to experience it firsthand. Trust me when I say it’s worth the trip! What are the options for Atmos speakers? When it comes to Atmos-ready speakers, there are a couple of options available to consumers. 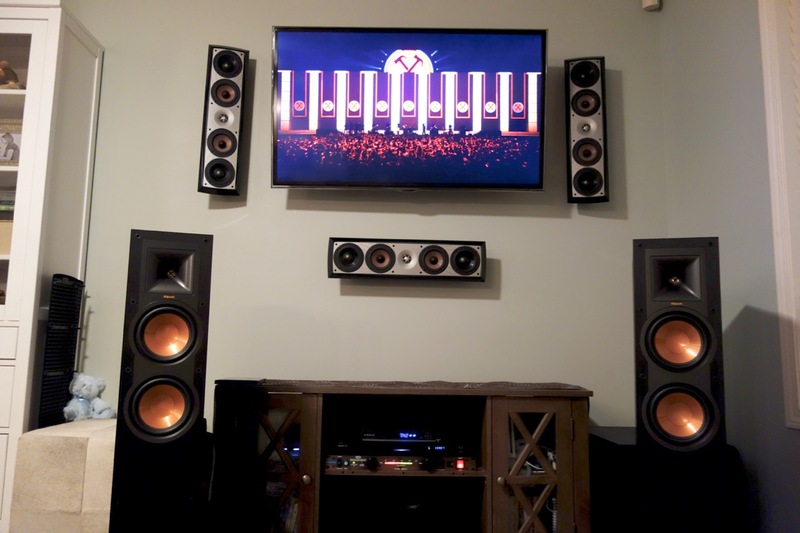 If you were starting to build a home theatre from scratch, or you don’t mind cutting holes in your ceiling, mounting speakers directly above the listening position is probably the optimal way to experience Atmos. 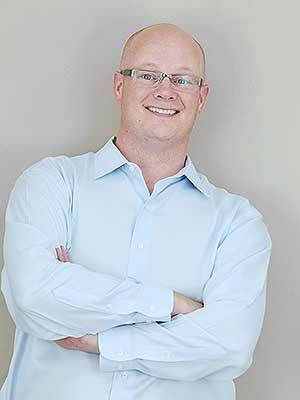 An added benefit is that any ceiling speaker will do, whereas the other options require specificity. A somewhat less intrusive is the option to place Atmos speakers, or modules, above your screen to output the height channels. Another common method is to use Atmos modules and place them on top of your floor standing speakers. It is this method that the Klipsch R-26FA has taken to the next level: they’ve built that Atmos module directly into the top of their speaker. It is a clean, easy way to transform your standard surround sound theatre into an Atmos theatre. The Klipsch R-26FA built-in Atmos modules are angled towards the listening position, and the technology relies on using your ceiling to direct the audio back down to the listener. I was a little skeptical at first as to the effectiveness of this method, as ceiling heights vary as do distances to listening positions. All that said, I was pleasantly surprised with the results. There was a notable difference in the fullness of the surround audio when watching Atmos enabled content. I loved it, and it made me pine for the day when I can upgrade my own home theatre to experience this full time. The Klipsch Tractrix horn tweeter. A true differentiator in speaker design. In the interest of full disclosure, I have never been a big fan of the Klipsch speaker. I find the tweeter to be too much; a product of the Tractrix horn design that they use on most of their speakers. That said, I did everything I could to put my bias aside, and went into this with no preconceptions of how the speakers might sound. Like all new speakers, I highly recommend breaking them in before passing any judgement on the quality of the audio. Sound is created by the movement of the drivers, and out of the box these drivers are stiff. They need some time and consistent use to really open up and sound their best. I would suggest a minimum of 20 hours, but to really ensure you are going to hear your speakers at their best, a break in period of 100 hours is preferable. Before I got to the point where I was ready to pass judgement on the audio quality of the Klipsch R-26FA, I ran them for the full 100 hours. Once they were broken in, I settled in for the test drive. How do Klipsch speakers sound? 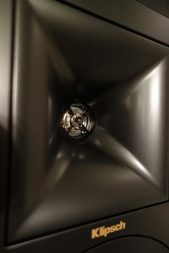 My impressions of the Klipsch speaker both surprised me, and confirmed some of my initial fears. I was surprised by the smooth mid-lower range, and found that it was both pleasing and clearly presented. Initially, I also thought that perhaps my preconceived notion of overdriven treble was unwarranted. One of the songs I use when auditioning speakers is “The Chain” by Fleetwood Mac. It has been my experience that the latter parts of that song will often expose a tweeter that isn’t up to the job of pushing the higher frequencies without piercing or losing clarity at volume. Imagine my surprise when I didn’t experience that phenomenon. Pushing through the audition I did find a variety of songs where the treble didn’t hold up: “Everything Now” by Arcade Fire, “High” by Sir Sly, and “Two High” by Moon Taxi are three examples from the Alt-rock genre that dominates my playlists these days. That said, they handled the majority of Beck’s new album “Colours” without major disappointment. I came away with about an 80/20 result, where 80% of the music I listened to sounded really nice, and 20% sounded too treble forward. If you go to your car now and find that you have boosted your treble to +5 or +6 dB, you may really like the Klipsch line and how they reproduce music. I usually take my treble down to -1 or -2 dB, and cherish a pair of headphones that (according to various reviews) sound like the treble has been completely crushed. So take my review with a grain of salt. All that matters is that you love the speakers you buy. While watching TV or a movie I didn’t ever experience a moment where I thought the treble was too much. If anything, I appreciated the sound during movies, particularly with the Atmos modules engaged. I did notice the difference between the tone and timbre of my Paradigm centre channel compared to the Klipsch, so if you go this route you’ll probably want to match the centre channel for a seamless front soundstage. Let’s be honest, if you are in the market for the Klipsch R-26FA you are buying them for the Atmos feature. 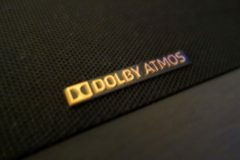 For an all-in-one package, this is a pretty cool option that minimizes the additional effort to move into the realm of Dolby Atmos. 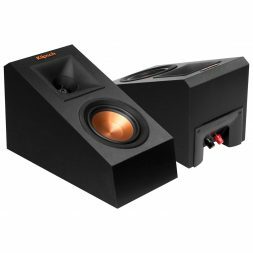 The Klipsch R-26FA is available at Best Buy. Falling asleep as a toddler to Dark Side of the Moon on a quadrophonic sound system my father built from scratch sparked a lifelong passion for high-quality audio and home theatre. My journey has taken me through broadcasting school, into a decade of large-scale, live audio and video production—I even had a stint in provincial politics as an MLA. Join me as I translate my enthusiasm and experience into insights you can use to enhance your understanding of the world of audio and home theatre. 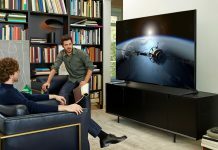 How Big Should Your New TV Be?